So everyone thinks they have good email etiquette, but by jeez aren't there just too many emails flying around with no consideration given to etiquette! So what exactly is email etiquette? In its simplest form, email etiquette is basically how we conduct ourselves via email. Exercising good email etiquette is actually pretty simple. If you think you’re not going to be, write it up, save it and consider sending it in an hour or at a later date, when you have calmed down. Always use a greeting, Hi, Hello, Hey, etc. unless you intentionally intend on being rude in which case, simply state the person’s name. I hate it when people do that, sadly it's done too often and even worse, it’s these people who think they have good email etiquette. Being succinct is just as important as being as detailed as required. Some people take this too far by leaving not only the greeting off, but the person’s name altogether or some start mid-sentence and you spend a few minutes trying to decode what's being said. Though there are times where this is OK, more often than not it isn’t, so don’t do it! On the other hand, people write unnecessarily long emails, which are a bore to read and are often skimmed as a result. This is normally a personality trait and after having worked closely with lawyers for many years, boy did these long emails exist. Finally, read back your email before sending it and check spelling manually! You may for example want to say ‘your’ and you write ‘you’ and change the context completely and the spell check option doesn't always pick up on this so manually spell check it. Good email etiquette is a great way to build rapport and influence people in the work place and professional circles. If you want to lead someone in a particular direction or want the recipient(s) to see your point of view match their email etiquette in previous emails; if my psychology professor is right, they will subconsciously be more inclined to agree with you. This also works in conversations, which I love exercising. I have found, that as long as you match and lead within reason (without violating any of your ethics of course), you are always sure to be seen in a good light, in that person's eyes at least. BE NICE. 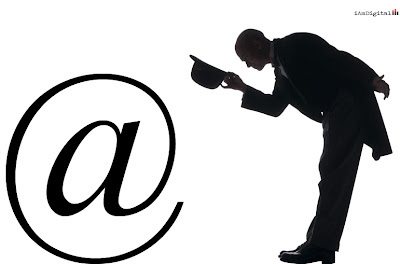 IF YOU'RE UNSURE, MATCH THE PERSONS EMAIL ETIQUETTE IN YOUR REPLY. If an email is intended as an "FYI", then the addressee should be listed in "CC". If the email has an action item request for the addressee, then they should be listed in "To" with the action items listed at the top of the email. The "BCC" function should be used sparingly, since it’s arguably unfair to the recipient who is not fully aware of who else is receiving the same email. Take extra care when using the "Reply to All" function; it is a bad email etiquette to use this option indiscriminately, especially for messages of a sensitive nature or when in a group email. Also, if a number of people received the same email, be mindful that not everyone wants to know your response. If you receive an invitation to attend a meeting, that you are required to attend yet cannot, you should consider sending a note through when declining or even propose a new time, or delegate someone to attend on your behalf.